Halloween in Charlotte | South Charlotte Newcomers! Great happenin's in Charlotte, NC! Charlotte offers a plethora of paranormal activities for Halloween! Haunted Houses, from the fairly tame Scarowinds to the heart-pounding Haunted Mill, all your traditional favorite fear factor locations are waiting for you during October! Charloteeans searching for suspense (without the screams) can also find frightful fun throughout the Charlotte area this month! Blumenthal Arts presents THE ILLUSIONISTS October 21-23 at Oven’s Auditorium. Considered the world’s best magic show, seven magicians are prepared to awe and delight with their sophisticated art of deception! Queen City Ghost Tours offers a historical scare, starting in Uptown Charlotte! Learn about ghostly visitors from the Revolutionary War to present-day, local haunted homes! Walking and driving tours are available. Detectives of all ages will enjoy the Murder Mystery/Dinner –Evil Never Dies on October 22nd. Intrigue and wine will dominate this whodunit evening at Cougar Run Winery! Help solve the mystery while enjoying a dinner catered by 2 Gals Kitchen. Stretch your skeleton and move those muscles at the first annual Costume Dash on October 29th. Dress in your Halloween costume and enjoy the fun run through South End! Costume contest, prizes, and after party at Draught Charlotte. Charitable sponsor is the American Cancer Society. NoDaWeen festival includes a Freaky 5K and a Pimp My Pumpkin competition. The 3rd Annual Hound Dog Hustle is a way for you and your four-legged baby to enjoy the fall foliage! The 5k run/walk on Oct. 23rd starts at 9:00 am and benefits the Carolina Bassett Hound Rescue. The Rescue saves homeless hounds from kill shelters. Sophisticated spooks will find their inner fabulousness at The Duke Mansion’s Casino Party and Auction on October 28th. Casino games, silent auction, dancing with delicious delectable created by executive Chef Harrison Booth. Midnight in the Garden at Historic Rosedale Planation offers an indoor and outdoor experience for all ghost busters! The Paranormal Grounds Investigation will be 6:30-8pm using technology in partnership with the Charlotte Area Paranormal Society. Real ghost stories and possible spirit contact continues in the Paranormal House Investigation, 9-11pM. Halloween can be fun and educational! Plaza Midwood’s Fall Crawl Cankerworm Festival will be on Oct. 29th, 9am-7pm. Tree banding supplies to get rid of those real-life creepy crawlies will be available from 9am-12pm. Enjoy the festivities including a costume parade, live music and libations from Birdsong Brewery. Dia De Los Muertos: Day of the Dead will be presented at the Levine Museum of the South on Sunday, November 1st. Traditional foods, art and dances will have you transported to Mexico! Science on the Rocks Fright at the Museum will be at Discovery Place in Charlotte’s Uptown! This is an adult event with a live zombie dissection, live music, creepy crawly experiments and much more! October 21st. The Queen City s a hotbed for a heart-ponding, happy Halloween. Get on your ghoul on by running, riding, dancing, and eating your way through an October bursting with fun in Charlotte! 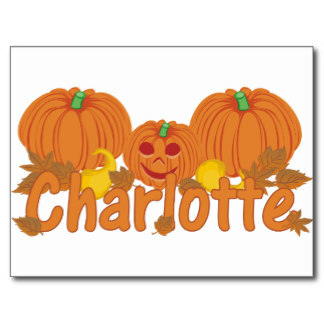 October Charlotte is beautiful with her precious city of green unmasking the brilliant colors of fall! October is forever a pumpkin picking, candy cruising, cider sipping, fun festival time in the Queen City! Outside the sugar-pumped squeals, pumpkin patches and haunted houses, Charlotte offers grownups a more unmasked October of spooky fun! October 2-November 5th The Ayrsley Grand Cinemas 14 is showing a Retro Horror Film Series. Enjoy classics such as: The Birds, An American Werewolf in London and Friday the 13th! Make your reservations for an Uptown, candlelight, historical walking ghost tour of Charlotte offered by Port City Java Hearst Tower! The Carolina History and Haunts tour guide, dressed in 19th century attire, will take your group through historic 4th ward and settler’s cemetery. The budding chefs in your family will enjoy mastering Pumpkin. Gourds, Squash and Candies Cooking Class offered at Mimosa Grill on South Tryon Street on October 3rd. On October 17th Upstream restaurant in Phillips Place will offer a yummy cooking class of Sweets and Treats featuring baking goods and pastries! The 2nd Annual Cider Fest on October 9th will have you enjoying juicy fall apples with an adult twist! Rooftop 210 will feature cider mixology, samples of different ciders and new cider cocktails at this fall-themed festival! South Charlotte’s Ballantyne Festival-Autumn in the Park will feature Charlotte’s Best Oyster Roast on October 10th! You don’t want to miss local brews, family fun and fresh oysters! The festival will be at Ballantyne District Park at 9405 Bryant Farms Road. Historic Rosedale Plantation is perfect for celebrating your inner ghost! The Feast of the Hunter’s Moon-Antebellum dinner will be at the plantation on October 17th. Enjoy an elegant farm to table 7-course dinner all served in an appropriate period candlelight atmosphere. Also at Rosedale, on October 23rd and 24th, a Paranormal Grounds Investigation will have all creatures of the night on a ghost -busting quest! Join professional ghost hunters as they take you through the grounds of Rosedale’s 200 year- old plantation, and attempt contact with the beyond. You will have the opportunity to use the latest technology with the Charlotte Area Paranormal Society. Dracula will be performed on October 30th-November 15th at Theatre Charlotte. Dark humor and terror at the theater will be a great way to celebrate Halloween! Release your inner poltergeist at Charlotte’s grown-up venues of apparitional hunts, theatrical phantoms and deliciously demonic vittles!